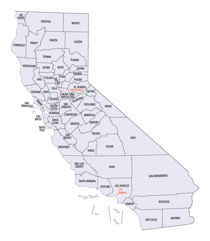 Imperial County is a county located in the state of California. Based on the 2010 census, the population was 174,528. The county seat is El Centro. Imperial county was established in 1907. The county is named for the Imperial Valley. 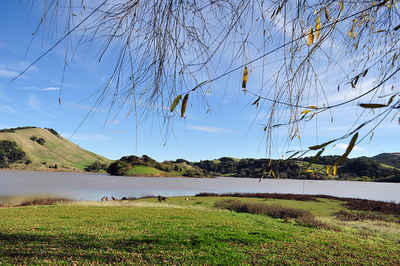 The valley was named for the Imperial Land Company, a subsidiary of the California Development Company. Imperial county got its name from the Imperial Valley and is the "youngest" of California's counties. The valley is named for the Imperial Land Company, a subsidiary of the California Development Company, which at the turn of the century had reclaimed the southern portion of the Colorado desert for agriculture. Imperial County, originally part of San Diego County, was founded August 7, 1907. The area was visited as early as 1540 by Hernando de Alarcon, discoverer of the Colorado River. It was further explored by Spanish explorers and Catholic friars. Settlements existed along the Butterfield Stage Route as early as 1858, but no real development took place until water was brought into the area in 1901. As reported by the Census Bureau, the county has a total area of 4,482 square miles (11,608 km2), of which, 4,175 square miles (10,812 km2) of it is land and 307 square miles (795 km2) of it (6.85%) is water. The Chocolate Mountains are located east of the Salton Sea, and extend in a northwest-southeast direction for approximately 60 miles (97 km). 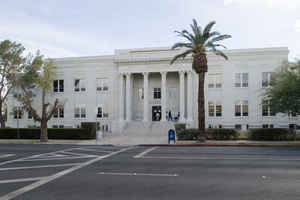 Northeast: La Paz County, Ariz.